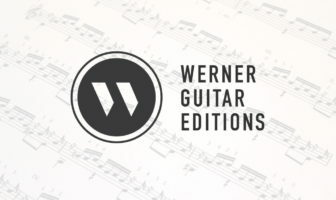 This page lists classical guitars that I recommend and that I think are the best classical guitars for the money. The review of factory guitars are for beginner to intermediate students looking for an affordable and quality recommendation. I consider these classical guitars the best classical guitars for the money. For high end used instruments check out our classified section. My main instrument is a 2018 Douglass Scott Classical Guitar (see pics and my review) with a small scale (632mm) and smaller body. I also have a Cordoba C10 for messing around on and teaching. I have a bunch of cheap guitars of various sizes too (they are piling up). I understand not everyone is ready for the leap to a expensive single-luthier built guitar. Therefore, here are my Amazon recommendations. These are guitars I recommend to my students and online followers. I can only recommend what I’ve had experience with and so far the Cordoba brand is winning the game. Keep in mind that there are other great brands out there that I have not had the chance to demo. Yamaha made it into the list at least! If you decide to buy please consider clicking my Amazon links on the same day to help fund the site. I’ve been happy with the Cordoba brand so just pick your price range and the more you spend the slightly nicer it will be. I’ve reviewed most of these and I trust the company overall. Also, the Cordobas have truss rods which is great for lower end instruments in case of issues with the neck. All of the models from the Cordoba C3 model up have solid tops which is great for the sound. Send it back if you don’t like it, Amazon has a great return policy. Yamaha’s are also well build on average but no truss rod (but I’ve still been happy overall). This would be my first pick for beginners on a budget of under $250 because it has a solid cedar top which the two models below do not have. Plus it has truss rod so you’re good to go. Comes with a bag and tuner which is even better. Get this one! If you need to go super cheap go with this, it has the truss rod and will work. If you can afford a better one you should do it though as you’ll grow out of this (musically speaking). Nevertheless, a good entry model. Another good one if you’re on a budget. I’m always impressed with what you can get from Yamaha. It’s not a refined sound but it’s a great working guitar. Bottom Line: well built. No truss rod but if you get one with a straight neck you’re set, their quality control is pretty great so you should be fine. If you can afford to start here that would be best. With a solid top this one has some nice touches. In the end, the laminate back mahogany is a fine choice and I don’t think paying the extra for a different laminate is all that worth it. Bottom Line: Everything you need plus some extra. This is great because you get a solid cedar top and laminate Indian rosewood back and sides. In general, this is going to be louder and more refined a sound than the cheap Yamahas but the price is a jump up. To be honest it’s not much better than the C5 just a bit nicer. I say if you can afford this one then stretch your budget and buy the C9 or 10 which is a real improvement. Solid Canadian cedar top with solid mahogany back and sides. This is a winner when it comes to under $1000. I would love to see my students with a guitar that could last them into their intermediate years. Also comes in a small scale “parlor” size for all you shorties out there. Beware of small neck profile on the parlor. Solid Canadian cedar top & Solid Indian rosewood back and sides. Includes Cordoba Polyfoam case. Also comes in a small scale “parlor” for all you shorties out there. 630mm. Beware of small neck profile on the parlor. This is a real step up, solid woods with great wood choices, almost as good as a raging expensive guitar from a luthier (although not as good projection in a hall). It’s not at the pro level but will do a nice job for anyone. All the goodies. Modern design elements include a lattice braced top and raised fingerboard (not much though) for easy playability when accessing upper frets. It’s loud and fairly well balanced. If you are young concert player or just want a high quality instrument for an affordable price you should buy this as it will keep in in the game next to more expensive guitars. These guitars are for kids (or small adults). It would be great if all kids could start on a guitar that actually helps them sound good. This would be that guitar. Depends on whether your kid is the “smash and bang” type as you don’t want it to get too damaged for resale when they grow out of it. Still, best pick for sure. As above. Solid Canadian cedar top. Mahogany back and sides. The cedar will be a bit warmer so this is a good choice overall. Yamaha’s are built well and I’ve never been disappointed. They are an amazing deal for the money.